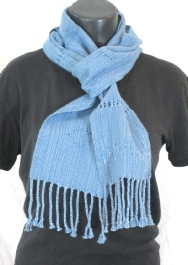 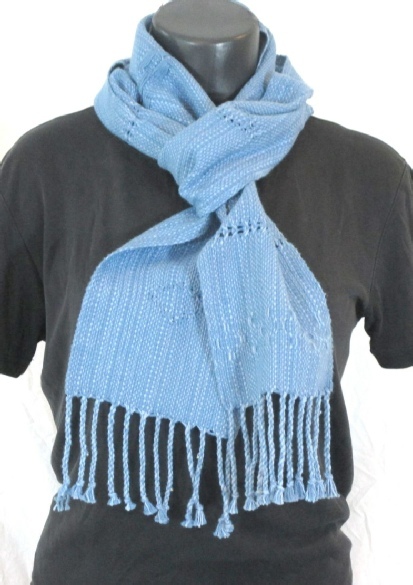 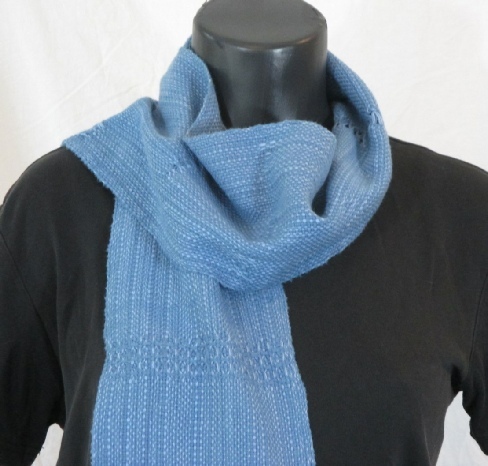 This soft, light weight year-round scarf is made of cotton and linen. 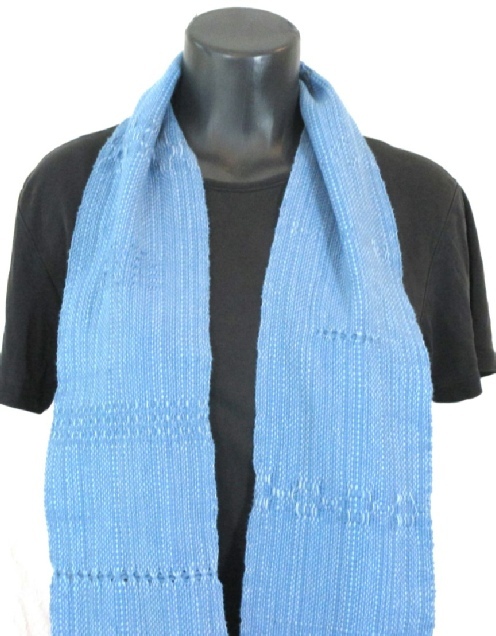 This scarf features a variety of hand-manipulated lace designs, scattered randomly throughout. 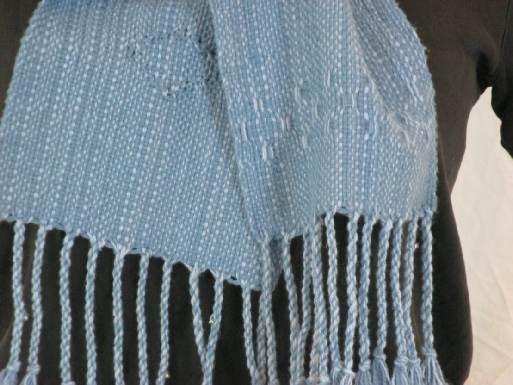 It measures 6” x 68”, plus 3.25” long fringe, with a few beads on it. It can be worn in a variety of styles.